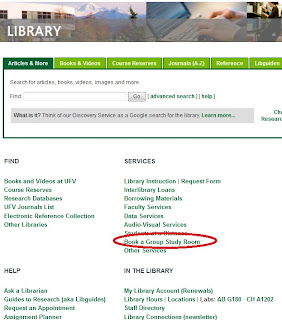 Students at both the Chilliwack and Abbotsford campuses can now use an online booking system (linked from the library homepage) to book the group study rooms located in the library. 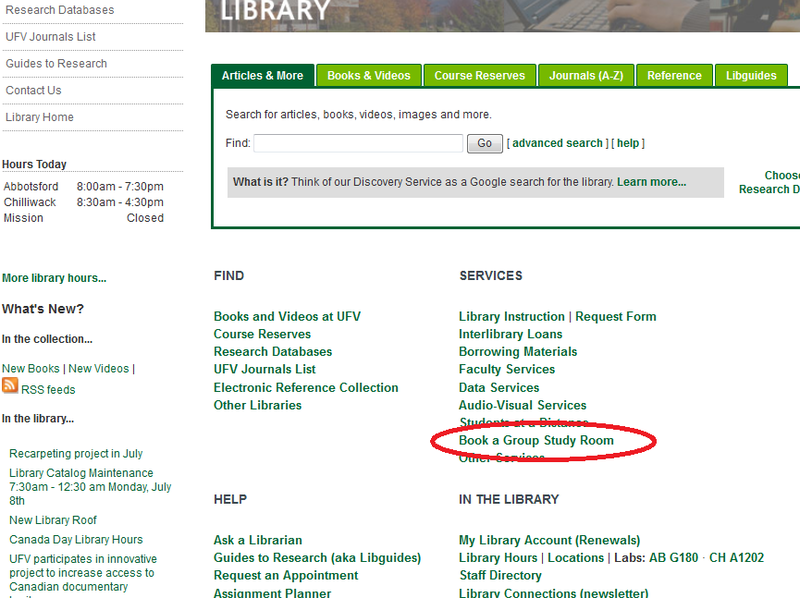 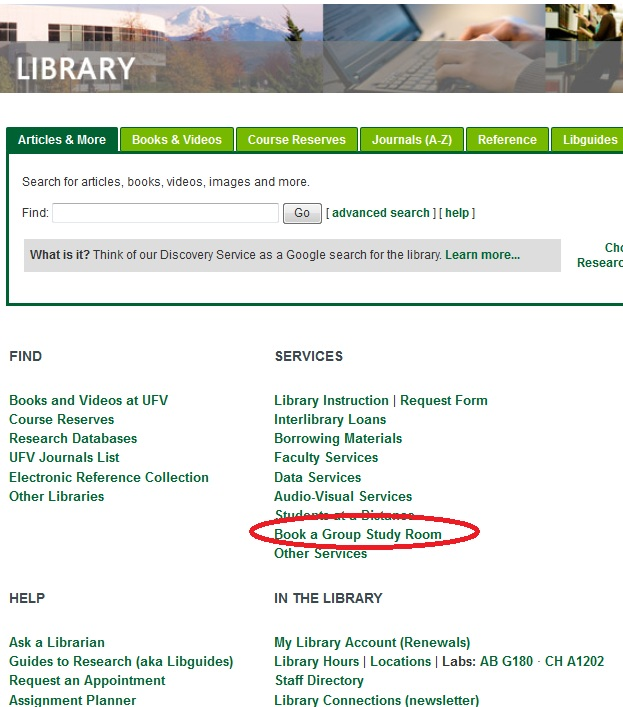 The Book a Group Study Room link provides access to the booking system and includes helpful information about using and booking the rooms. Installed in 1995, the Abbotsford campus library carpet has seen better days. 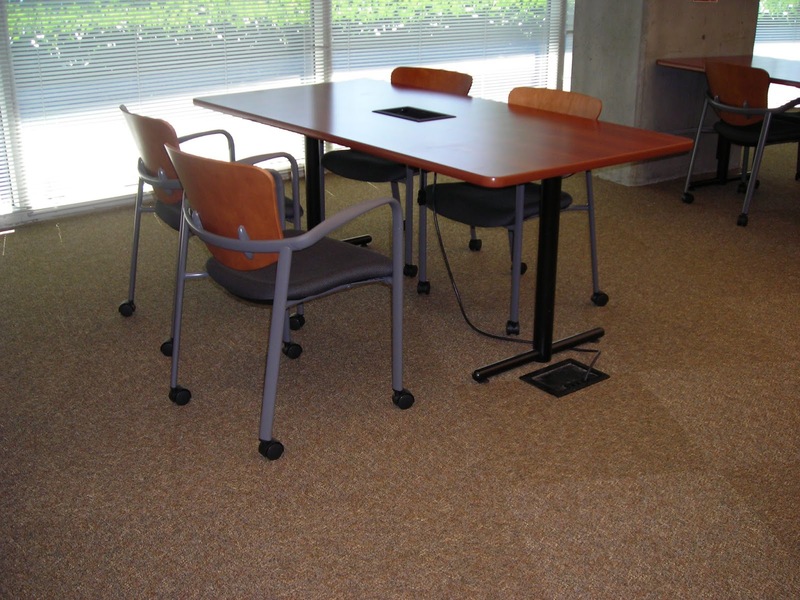 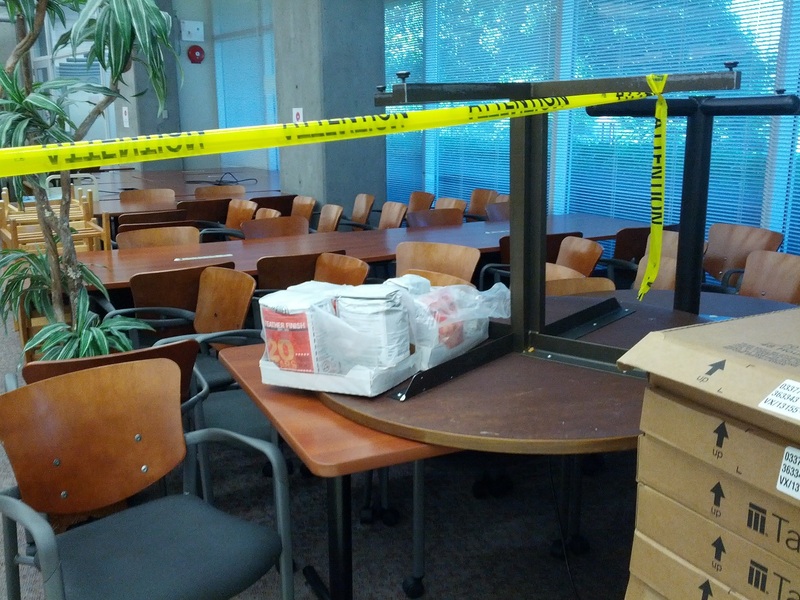 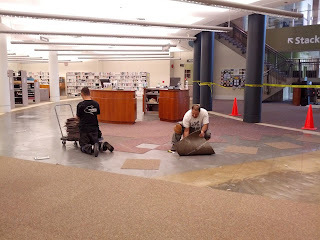 This summer the main floor of the library will be re-carpeted, commencing on July 8th, 2013. 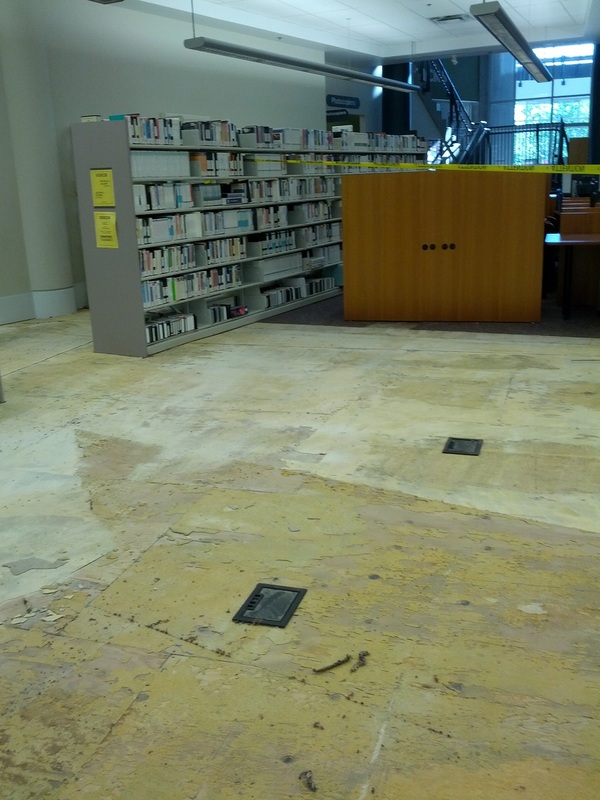 The work will take approximately one month to complete, and will involve sections of the library being worked on each day. We apologize for any disruption this may cause, and will try to alert you to any planned closures of areas as they arise. 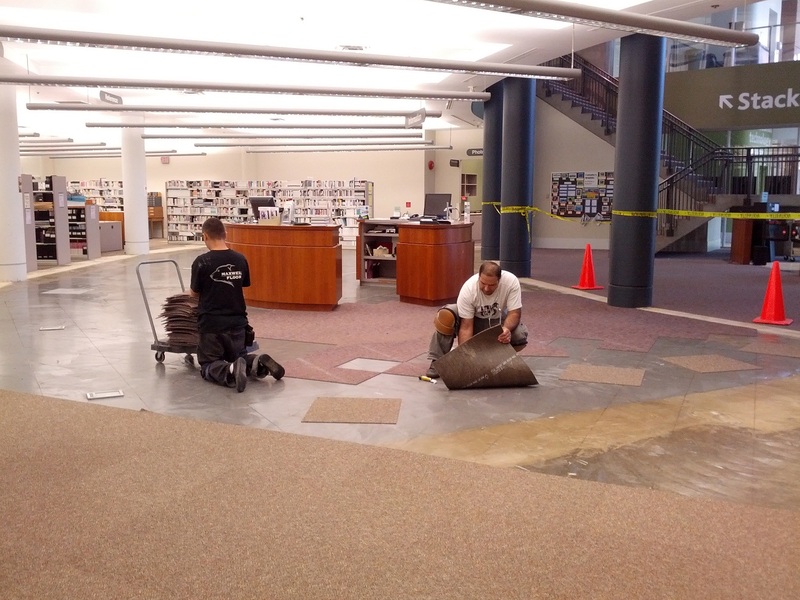 We look forward to a new, refreshed look for the fall! 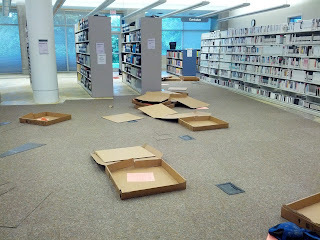 Day 2 - We have some carpet down now and it looks great! 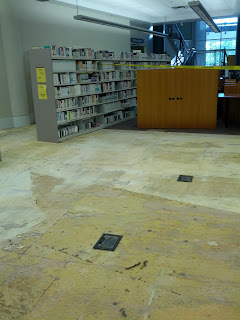 Day 8 - The computer stations have been disconnected and the new carpet tiles are being installed in the front of the library. 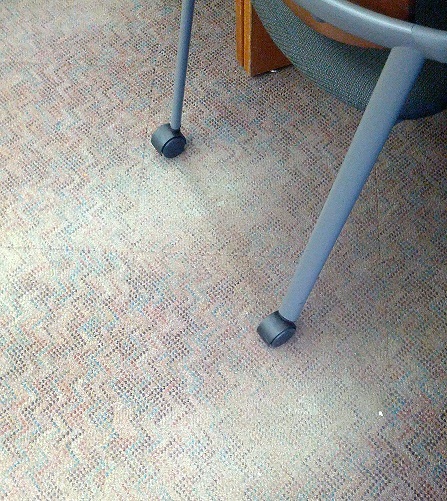 Day 10 - They are finished! 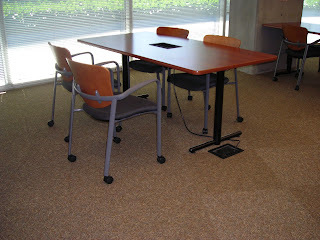 The new carpet looks great with our study tables.